Pioneers in the industry, we offer vegetable leno bags, pp woven leno bag, pp leno bag and leno mesh bag from India. 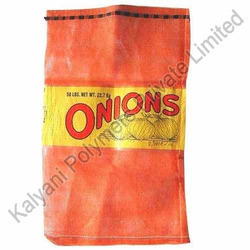 These Vegetable Packing Bags are formulated using premium quality materials and as per industry defined parameters. 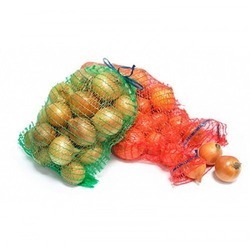 Vegetable packaging bags are available in different sizes and colors according to the needs of the clients. These products are extensively used by clients for shopping purpose. These bags are durable and easy to carry. We offer these bags at competitive price range. 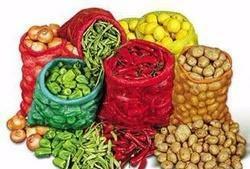 PP Woven Leno bag is used for packaging Agri Produce viz Flower Fruits Vegetables etc and made as per size and colour requirements of the end user, these bags and FDA approved and colour does not bleed on Food Stuff packed inside. The Weave use of LENO Type made on FLAT Sulzer and Circular Looms offering world class Quality with Draw String and Labels for Branding and weight markings. Looking for Leno Bags ?